The Houstonian is a wooded oasis and place of relaxation in the center of Houston, Texas. Eighteen wooded acres and 289 guest rooms are ready to serve families, couples, wedding parties and business groups. At the Houstonian, guests can enjoy the services of the excellent spa or take advantage of complimentary membership in The Houstonian Club, one of America’s top-ranked fitness facilities. In addition to the indoor pool at the fitness club, there are four pools: A lap pool, a resort-style pool with a waterslide, a garden-area pool and a children’s wading pool. Marked, paved hiking trails dot the wooded area around the hotel. Complimentary transportation to the local mall, The Galleria, is offered by the hotel. All rooms at The Houstonian have the unique pleasure and natural lighting that floor to ceiling windows can provide. Guestrooms and suites are equipped with plush robes, oversized work desks, iTunes clock radios, Keurig® coffee makers, umbrellas, flashlights, premium bedding, flat-screen TVs, electronic safes, hair dryers, irons and ironing boards and complimentary access to the outstanding facilities of The Houstonian Club. Deluxe Guestrooms have 42-inch flat screen HDTVs, beds with wood-trimmed leather headboards, a mini-bar and high-end furnishings. Concierge Guestrooms enjoy all the fittings of the Deluxe Guestrooms with the addition of daily continental breakfast, early evening cocktails and hors d’oeuvres, after dinner sweets and cordials, concierge service and business services. The eight Executive Suites have a complete living area, hardwood floors, French doors between the living and sleeping areas and are finely furnished with rich fabrics in red, blue and neutral hues. The oversized bathroom has a large soaking tub and a separate shower. The Capitol Suite is 1,177 square feet of elegance. Hardwood floors, wood paneling and cabinetry and hues of brown and red make this room a visual delight. This suite has a half-bath with faux leather walls and a full bath with marble features. The bedroom features an antique leather bed with a 29” deep mattress. In the living area is comfortable, tasteful seating, a wet bar and a dining table that can seat six persons. The study has shelving, an oversized desk and a laser printer that scans, copies and faxes. Two large flat-screen TVs complete this lush suite. The Presidential Suite has all the comforts of the Capitol Suite but is more spacious, at 1,336 square feet. The Presidential Suite also boasts a dining room, a private mini-kitchen, a remote-controlled fireplace, high-speed wireless Internet and a large living area. There are one and one half baths in this suite; the master bath has a Jacuzzi with a neck massager and a wide marble countertop. There is food for every taste at The Houstonian as it has five restaurants, all unique. The Olivette is open all day and serves modern American cuisine with Mediterranean accents. The Manor House is open for lunch and is set in a historic house on the hotel property. It offers both Texan cuisine and architectural splendor. The Arbor Grill is outdoors and is accessed from the pool areas. The grill has comfortable lounge seating around a fire pit and serves tacos, salads, sandwiches, burgers, brownies, cookies and ice cream. The Bar is adult-only and blends excellent cocktails and microbrews with a sophisticated atmosphere. The Bar’s menu includes nachos, seafood, sandwiches, oysters, and desserts. The Center Court Café is inside The Houstonian Club and has a healthy, heart-conscious, low-calorie, low-fat menu. 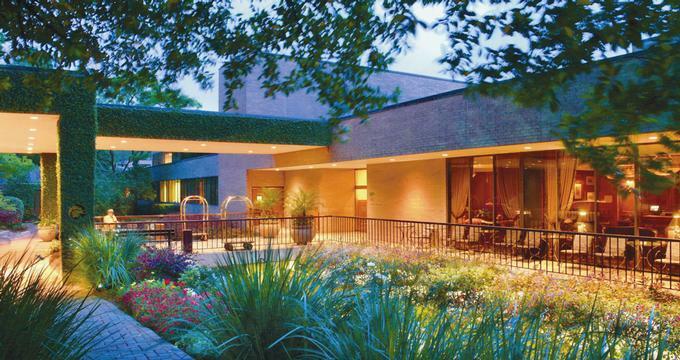 The award-winning spa at The Houstonian is named The Trellis. It has 17,000 feet of space, including 20 treatment rooms and a full-service salon. The locker room is sumptuous and proffers a Jacuzzi, a steam room and rainfall showers. Before or after spa treatment, guests can enjoy the relaxing and tranquil lounge, which features cozy seating, a fireplace and views of a natural garden courtyard. Massages are a staple of any spa and The Trellis has many to choose from. Guests may like the traditional Swedish massage, an aromatherapy rub, warm stone therapy, deep tissue massages, upper body massages or may need a thermal sport massage to assist the healing of athletic injuries. Facials are a speciality of The Trellis Spa and there are many unique offerings, most of which are designed for aging skin. The Diamond Life Infusion facial is a youth elixir. It rejuvenates the skin with massage and guarantees brighter, younger, firmer skin. The Diamond White facial evens the skin tone and treats and prevents the pigmentation changes that come with age. La Alternativa facial is a non-invasive wrinkle reducer that uses lipofiller to fill existing wrinkles and lines. The Oxygen Awakening facial treats with a blast of pure oxygen to reduce the signs of epidermal congestion that come with environmental pollution. The Age-Defying facial uses active ingredients such as amino acids and vitamins A, E, and C to reduce fine lines, support sagging skin and brighten skin tone. The Ceutical facial is for sensitive skin and treats redness, improves skin congestion and softens and reduces inflammation. The Trellis Signature facial uses a luxurious mask to cleanse and brighten the face. Other facial offerings include microdermabrasion, treatment for dark, puffy eyes and therapy for the delicate skin around the eyes and lips. The Trellis Spa also has unique body treatments. The Diamond Experience Rose uses diamond dust to exfoliate the skin and rose oil to reduce signs of aging. The Slimming Body Mask starts with a creamy full-body exfoliation using glycolic acid and follows with a seaweed body mask to help slim the body. The Citrus Drench is a nutrient-rich body treatment that is ideal for sun-damaged skin. It uses a citrus scrub to exfoliate and a whipped vitamin C mask to revitalize the skin. The Oxygen Body Treatment hydrates and restores the body’s natural beauty and brilliance. The Tension Relief Cocoon makes use of marine mud to soothe sore tissues, muscles and joints. There is a full-service salon at The Trellis Spa. Haircuts, styling, shampoo and conditioning treatments are available, as are manicures, pedicures, waxing and professional makeup application. 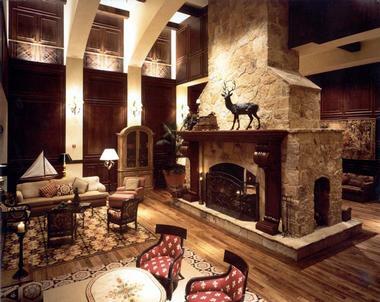 The Houstonian Club is a private health and fitness club that is open to guests of the hotel. 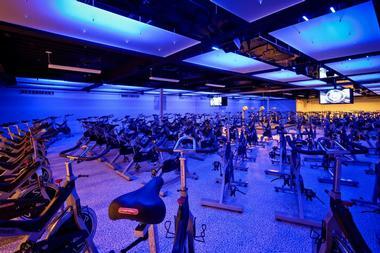 In the workout area, more than 300 cardio and strength training machines await. There are more than 200 group exercise classes weekly, including Pilates, yoga and hot yoga, Tai Chi, kickboxing, dance, cardio, stretching and cycling. Aquatic classes are available daily and the wide variety of offerings include cardio, core training, flexibility, dance and relaxation. The club has four indoor tennis courts, two indoor racquetball courts, four outdoor tennis courts with lighting and offers private and group tennis lessons. The Houstonian offers everything a bridal party could need. Wedding planners are available to help coordinate all the details of the big day. There are many venues at The Houstonian, no matter how big the guest list. The Grande Ballroom seats 450 guests, or can be divided in two for 225 guests. This ballroom is carpeted in blue, has four large and exquisite chandeliers and the natural lighting of floor to ceiling windows. Right outside the Grande Ballroom is a reception area with comfortable seating and a fireplace, perfect for pre-dinner aperitifs and hors d’oeuvres. The Forest Ballroom seats 300 guests and is a rich and warm setting, with large wooden panels on the walls and a deep red carpet. 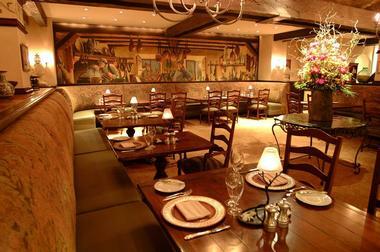 The Aspen Room holds 200 guests, has floor to ceiling windows, cream walls and mahogany wood panels. The Juniper room holds 200 guests, has floor to ceiling windows and an intimate feel. The Hearth Room holds 100 guests, has a fireplace, a brick chimney, wood dining tables with oversized leather chairs and a beautiful view of the meadow. The wedding can be held in the meadow itself, it is a large green area with a white gazebo, surrounded by old oak trees. Custom menus can be worked out with the event-planning and the catering staff and wedding favors are also available through the hotel. The Houstonian has 26 meeting venues which range from a large ballroom, boardrooms and space for a get-to-know-you poolside party. Lunch and snack service are available, as is a large range of audio-visual equipment. Event planners will help your meeting or conference run smoothly. Rooms start at $162 per night. Back to: Romantic Weekend Getaways in Texas.